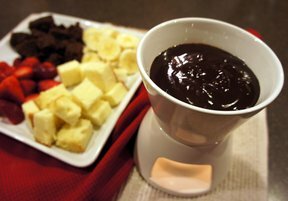 With just 3 simple ingredients, you will have a delectable chocolate sauce that is perfect to dip your favorites in. Strawberries, bananas and pound cake are perfect. I could just eat this sauce by the spoonful! 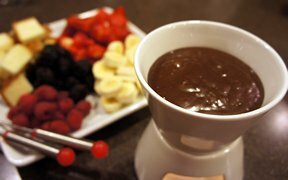 Heat in microwave or on top of the stove until melted and smooth. 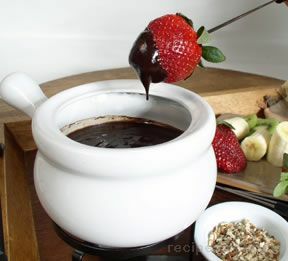 Dip with fresh fruit, pound cake, brownies or anything else you prefer. "This was the perfect end to our party last night. 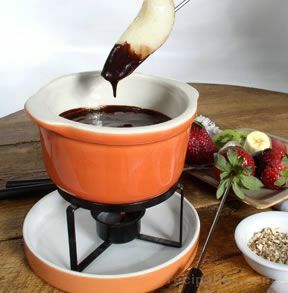 Strawberries and brownies were the favorite dippers, but we also used pineapple, bananas and marshmallows. This was so creamy!"